Branding a business is more important than we actually think. It gives our business an identity which is must in today’s competitive world. Hence in today’s article, we will discuss how to give your business an identity and make your brand superior than the rest. Have a mode guide for your business. Choose specific colors and style your graphics (for your blog posts/ products/ social media updates) in a uniform manner across all of your content. We cannot stress it enough on a decent website style for your ux or moreover as whole. Your website is the reflection of your company; you would like to create a decent impression for your guests to return back to you. Now we know how to give a business branding and spread its name. Success Key LLC is one of the top branding & development companies in USA. We have all the latest content tactics and branding tools to provide high quality content and make a name for your business quickly. So, what’re you waiting for? Contact us NOW for more information. It’s no secret that Facebook has evolved into one of the best social media marketing platform around the globe. Even though some people don’t use Facebook, it still has the power to promote your business. We know that sharing promotional videos of our business helps us to promote our business. However, frustration begins when we are unable to get enough views on our videos. According to a study, it has been noted that 85% views on Facebook videos are without sound. Most people don’t like sound when viewing videos on Facebook. Always optimize your video for silent playback by adding captions and subtitles in your video. Have you ever wondered what makes viewers to stop and have a look at your video? It has been reported that people are more likely to engage with videos which have intro text than normal videos. Always make an attractive intro text on the thumbnail of your video. This is one of the best optimizing tactics for Facebook videos. Squaring your video format will give you enough space to add Title on it. Adding text like this will help you to gain public attention and generate interest in viewers. With the help of the above methods, you will surely get more views on your Facebook videos. Success Key LLC is one of the top digital marketing agencies in the USA which has years of experience and latest marketing technology to help you grow your empire. We study your business requirement, target relevant audience and promote your business accordingly. Still thinking? Don’t wait and contact us now by clicking HERE. In today’s digital era, social media plays an important role when it comes to promoting a business, company, products or services. People like sharing stuff on social media. Businesses have also adapted the following trend. Almost every business has its own social media accounts nowadays. To successfully promote their brand, they require optimizing their social media accounts and links. Social Media Optimization generally implies creating awareness of a product, service or brand with the help of the social media platforms like news channel, media sites and social media sites such as Facebook, Twitter and Instagram. The person who handles these tasks is known as SMO, i.e., Social Media Optimizer. The main role of a SMO is to create engaging and interesting content, which includes exciting text and eye-catching visuals like photos and videos that encourages viewers to interact with your website. SMO helps you in bringing more traffic to your website, and if done correctly, you can expect more possible customers for your brand. Social media posts serve as an advertisement and don’t even cost you anything. This is the best way to advertise your brand in this digital world. Social media accounts of a business build trust of the customers and they interact with its posts. Interacting customers directly on these platforms make customers feel comfortable with the brand. Due to the Hummingbird update in the algorithms of Google, sharing your brand’s content on social media platforms actually helps your website to get ranked and be visible in the search results for viewers. Social Media gives you a huge power to target a specific people directly while sharing content. This can be helpful if your business has a particular niche. This saves you a lot of time and efforts as everything is handled by SMO for you. From the above points, it is clear that SMO is very important in today’s world. Wants to know how to start? Contact Success Key LLC. It is one of the top SMO companies in USA. We offer 24/7 online publicity on all major social media platforms like Facebook, Twitter, LinkedIn and Instagram. You will get 100% results. Still thinking? Don’t waste time; contact Success Key LLC now by clicking HERE. Content writing is one of the most important tasks for a website. Everything written on the website is considered as content. Everything depends on it. And if you are running a blogging website, that makes content writing the main task to handle. This is one of the most common mistakes that can happen unintentionally, of course. Grammatical mistakes create bad impression on the reputation of your business or website which can turn people away. Always check for correct articles, punctuation, noun, pronoun, conjunctions and many other things and you will see more visitors to your website. It’s no secret that some of the written content includes copywriting work. However, it’s always good to take only ideas from other’s content and write fresh thought about it. This will make your content plagiarism-free and your website’s ranking will be improved. If you are writing reviews of reports, stats or facts about anything related to the world, always give reference of the primary source of data. This will help in proving your facts correct and your website will be considered highly accurate as well as more professional. This is one of the most important precautions of content writing. If you are not using your own videos, audio or images, don’t just copy-paste it from somewhere else. Instead, try to look for a source where you can find copyright-free content. Wikipedia is one such example of the same. Just make sure to check the details of content’s licenses. Sometimes, we don’t notice any error when we first write the content. However, we may find some errors when we re-read the content. Hence, it is always recommended to read the content once again before publishing it and making it live. By considering the above mentioned pre-cautions, you will write some of the best contents. If you need any professional help, try contacting Success Key LLC. It is one of the top digital marketing agency in USA. With years of experience in optimizing content, it can help you with your content work as well as to bring traffic to your content or website. As we are continuously be pushed towards the digital era, website development has become more important as ever. Without a website, a business can’t survive for long in today’s fast-moving world. The main reason behind that is competition. A business always has competitors in the market to compete with. And if one competitor promoted its business online and you don’t, chances are the competitor will get ahead. Therefore, to have a website is a must. This is one of the important tasks to do in the development process. Without proper planning, no website can meet the requirements. A good plan requires analysis of the goals for the website, a site-tree consisting sections, user interaction, navigation flow, and the required tools to develop the website. Once the planning is done, the next step is to create design for the website. The planned resources are then gathered and design team starts their work. A design includes visual aspects of the website including a business’s logo, preferable color contrast and many other details that are important in creating a good website. Now that the design is ready according to the plans, the next step is to actually start coding. This is one of the most important steps and should always be done carefully. Development part includes developing site structure, templates, content, tabs and every other thing required by the plans as well as designs. At last, it is time to launch the website and show your work to the world. However, before launching a website on the production server, it is always good to test the website several times; check the user interface, load times, links, responsiveness and performance. Once all these tasks are done, you can push the button and make the website live on the server. Success Key LLC is one of the top web designing and development companies in USA. We have experienced personnel, latest tools, and best technical know-how to create a perfect website for you. Grab yourself a free website demo by clicking HERE. Nowadays, businesses have more competition than ever before. Everyone understands the importance of a digital presence in today’s world. In earlier days, the only way to make online presence was limited to websites. It helped a lot of businesses and lead to their growth. However, times have changed so far. Smart phones have taken over the earlier mobile devices. These smart phones have the capability to run mobile applications and people love it. It is a fact that most of the people prefer using mobile applications rather than going to a website. Push notification is a type of notification that can be sent directly to users with short messages and encourage them to interact with the mobile application. It can be related to a new product, feedback or even a reminder. It enables you to send personalized content to users including several loyalty programs. Customers feel being connected which boosts their confidence in the brand. In this busy life, customers don’t want to go mobile browser and enter the URL manually. Mobile apps are much faster in this contrast. Customers find applications user-friendly and allow them to access it instantly. Some applications even allow them to access while being offline. This helps in retaining customers for a long, long time. 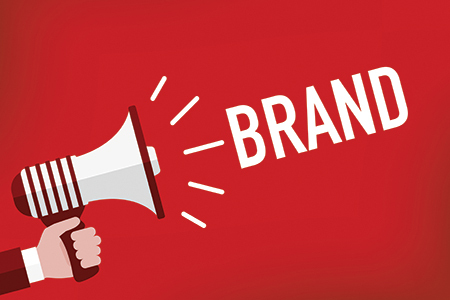 Every business wants to promote its brand. People always open Google Play or App Store once a day and get a view of the latest applications in the market. Building a mobile application will help you to get in that market and make a name for your brand. Just imagine millions of people will see your application and with right mix of features, description and presentation, chances are most of them will download your application and use it. A mobile application allows customers to interact with the brand directly. They can give you feedback without any hassle. 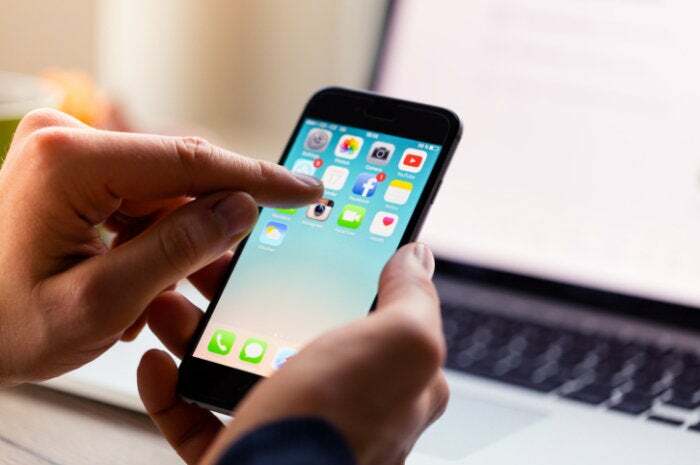 Mobile applications use features of the smart phones, most commonly camera or a finger-print sensor, to provide more user-friendly experience. This also allows customers to share the content of the application to their friends or family. This helps you in getting more loyal customers. Reducing cost and increasing profit is one of the most desired tasks of a business. A mobile application allows you to send messages directly to the customers, without any need of a network carrier. It even reduces the traditional marketing tactics in favor of digital marketing. This helps you to save a lot of money and reach out to millions of potential customers. Now, we know that there are some great benefits of a mobile application. But what’s the best place to get your mobile app built? Contact Success Key LLC. Success Key LLC is one of the top mobile application development companies in USA. We have years of experience in building most user-friendly applications and contribute to the growth of many businesses. You can easily contact by clicking HERE to know more about our services. We are here to help you 24*7. We are all aware of the importance of digital marketing in today’s world. It is an essential to promote any business. According to a recent report, spending on digital marketing grew by 44 per cent in United States. It is also estimated that global outlays on such tactics will reach US $100 billion soon. Digital marketing enables brands to target consumers directly via social media and search engine optimization. This clearly show that companies have become aggressive when it comes to digital marketing. They understand its importance and are trying their best to stay in competition. "Our research find that this budget us coming from media spend and will have a resounding impact on the value of media-centric agencies,” he added, referring to the traditional ad agencies that are struggling to adapt to this digital era. It was also noted that brands in North America spent approx. 23 per cent of their budgets on Martech (digital marketing), which is a substantial rise from 16 per cent a year ago. “We’re at the beginning of the shakeout,” said Mr. Ryan in a recent interview. Now, it is clear that this is just the beginning. Digital Marketing will continue to bloom in the markets in the near future. It is, again, one of the most successful method of promoting one’s business or company. If you haven’t got started yet, you should do it to stay in the competition. Success Key LLC is one of the top digital marketing agencies in USA. We have all the latets technology, knowledge and years of experience in promoting business in digital marketing. Contact us by clicking HERE to know more about our services. We are here to help you 24*7.